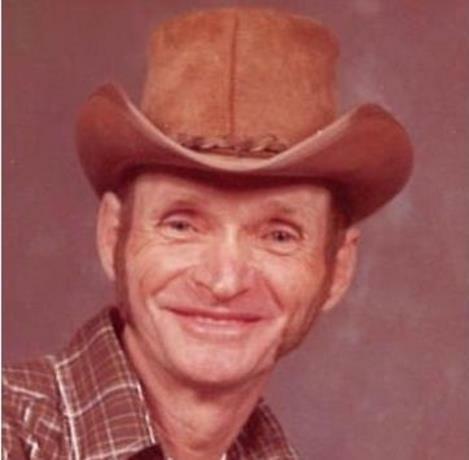 OSWEGO, KANSAS: Howard Eugene "Gene" Dickerson, age 81, passed away at 10:43 am, Sunday, April 1, 2018 at Presbyterian Manor, Parsons, KS following an illness. Mr Dickerson was born April 29, 1936 at Parsons. His parents were Howard A and Lucile (Hughes) Dickerson. He graduated from Labette County Community High School in 1954. He entered the U S Army in 1959 and was stationed in Germany until 1961. He entered into construction business with his brother, John L. Dickerson. They operated Dickerson Brothers Construction in the Lawrence KS area for nearly 30 years. Upon his retirement, he moved back to Oswego and began raising Polled Hereford cattle. He was a member of the Polled Hereford Association, and was honored to be named in their Hall of Fame. He was a member of Oswego United Methodist Church. He loved God, his family, and life on the farm. He was good dancer and liked to say, "We danced all over Kansas City and then some." Gene married Barbara Haraughty on July 6, 1963 in Columbus, KS. She survives. Additional survivors include a daughter, Cinda Reed, DeSoto, KS; son, John C. Dickerson (wife, Glenna), Peculiar, MO; 3 grandchildren, William Dickerson, stationed at Camp Lejeune NC with the U S Marines, Nicole Hurst (husband, Corey), Jamestown TN, and Rebeka Dickerson, Warrensburg, MO; and one great-grandson, Alex Hurst, Jamestown, TN: brother, John L. Dickerson (wife Susie) Eudora, KS; sister, Shirley Clark, Albuquerque, NM; sister-in-law, Pat Dickerson, Parsons; several nephews, nieces and cousins, including one special cousin, Mary Dee Dickerson, San Jose, CA. He was preceded in death by his parents, 2 brothers, Darell and Bill Dickerson and one sister, Jane Dickerson; 2 nephews, Brian and Joshua, one brother-in-law, Ron Clark, and one very special granddaughter, Robin Lynn Redd. The family will receive friends from 6;30 – 7:30 pm, Thursday, April 5, 2018 at Derfelt Funeral Home, Oswego, KS. Funeral services will be at 10:00 am, Friday, April 6, 2018 at First United Methodist Church, Oswego, KS. Pastor Bob Conway will officiate. Graveside services will be at 3:00 pm, Friday, April 6, 2018 at DeSoto Cemetery, DeSoto, KS. Memorial contributions may be made to Harry Hines Hospice, in care of the funeral home.